At the BBC Proms this year, composer Daniel Barenboim observed that the big mistake the English make about Edward Elgar is to claim him as a vessel of nationalism. He is, said Barenboim, one of the great European symphonists – more Mahler than Malvern, more Brahms than Brexit. 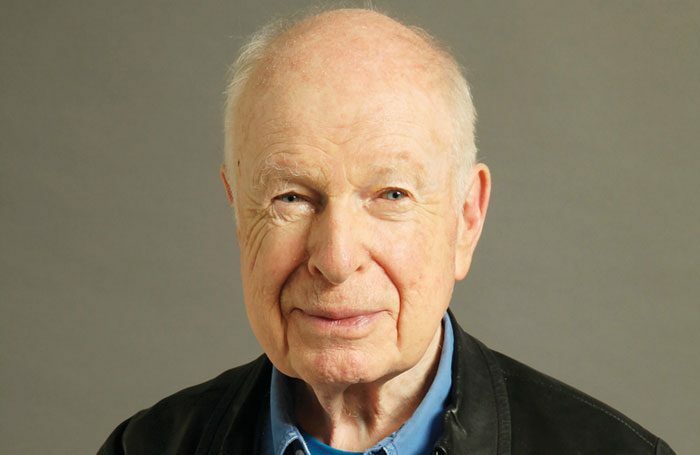 En route to speak to Peter Brook in Paris, it occurs to me that the acclaimed theatre director, now 92 but still lucidly twinkling, might say the same sort of thing about Shakespeare. Brook has always steered clear of the Shakespeare histories, the “Englishness” of the rural scenes especially, and Falstaff. 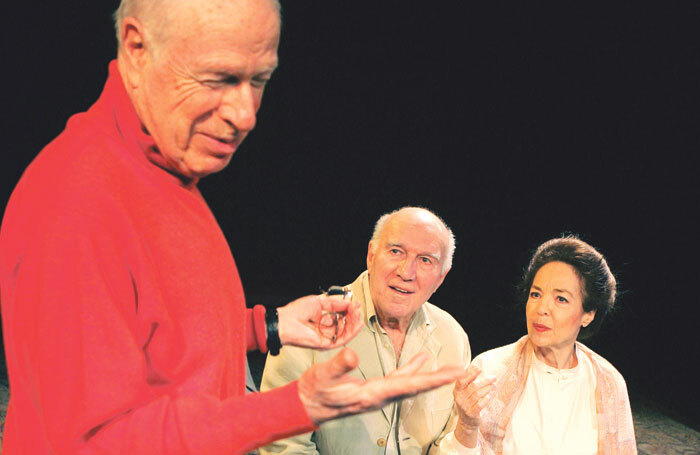 Peter Brook directing Michel Piccoli and Natasha Parry in Ta Main Dans La Mienne at the Barbican Pit, London, in 2005. Photo: Tristram Kenton. When I put this to him, Brook explains why the histories haven’t touched him so much. He’s not a big fan of the monarchy, or patriotism blurring into nationalism. Despite moving from London to Paris in 1970 with his wife, the actor Natasha Parry (who died two years ago), he remains a British citizen, the son of Russian Jewish parents who made a fortune in pharmaceuticals. But his life’s work has been fuelled by a deep-rooted internationalism, a cultural non-alignment with anything save political justice, spiritual enquiry and the civilising life of the mind. If he wasn’t so given to outbreaks of giggles, an interview could easily seem like a papal audience, or a brush with the Buddha. 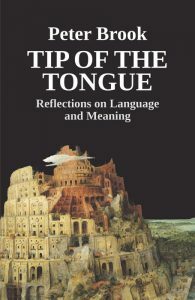 Brook is about to publish a new book about language and meaning, Tip of the Tongue. The impulse for the book, which includes a beautiful, unstrained analysis of the difference between the French and English languages – the first is the language of pure and crystal-clear thought, melody passing through vowels, whereas English is propelled by consonants – is also the pivot of his career: moving to Paris. He had first been invited to work in the city by Jean-Louis Barrault in 1968 in the wake of the political and cultural upheavals on the streets. In Tip of the Tongue, which is short, sweet and brimming with wise saws and modern instances, Brook also develops a thought planted for him by John Osborne: that an artist must always go against the tide. What was your first non-theatre job? I never had a paying job that was not in theatre. 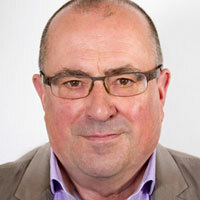 My first unpaid job was as an assistant in Merton Park Studios aged 16. The first paid one was as assistant in the script department with Gaumont in Wardour Street. They were making 50-second commercial films at the beginning of television and I was in an office with glass windows – with flying bombs all around. What was your first professional theatre job? Dr Faustus at the Torch Theatre in London in 1943. What is your next job? The Prisoner at the Bouffes du Nord in March, which I’ve written with my co-director, Marie-Helene Estienne. Who, and why, is this man sitting alone in front of a huge prison in a desert landscape? What do you wish someone had told you when you were starting out? This question doesn’t interest me so I can’t answer it. Who or what was your biggest influence? The answer can be found in my book Threads of Time, which was written primarily to answer questions such as this one. What’s your best advice for auditions? Prepare and then let go. If you hadn’t been a theatre director, what would you have been? Useless question. Do you have any theatrical superstitions or rituals? No, except mentioning the Scottish play. Over many years, inexplicably, I’ve seen the quantity of disasters that have fallen on people involved in productions of this play. I think this is due to the fact that Shakespeare couldn’t have avoided using true language for the witches and today one must find how to counterbalance this so as to be able to work freely. 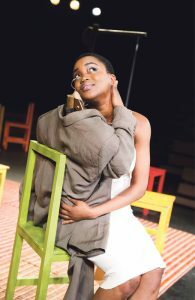 It’s easy to forget that the director’s recent run of stark, minimalist productions are simultaneously infused with a glow of humanism lighting them up like a megawatt bulb. Luminous and potent, indeed, were the words used by one critic to describe Battlefield, Brook’s most recent play in London. 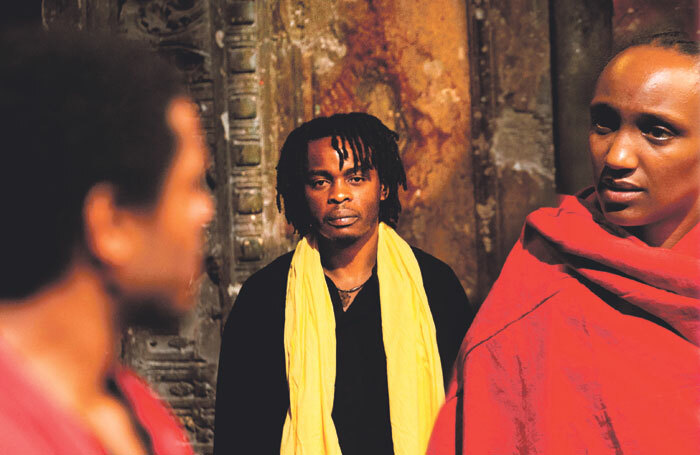 That play was an immense canvas in miniature that serves as a postscript to the last “epic” Brook production, the magnificent 1985 nine-hour Indian epic of The Mahabharata, first seen in a quarry near Avignon. When it was presented in an old tramway shed in Glasgow in 1987, the show seemed to redefine the very idea of heroic theatre. It was simply and utterly gorgeous. Battlefield, on the other hand, was reflective and sombre, but in the Young Vic performance of 2016 it was also weirdly beautiful in its muted acceptance of how the world actually is after decades of carnage and the death of 18 million people in warfare. Brook observes that, in these confused, uncertain days of both the Trump administration in the US and the escalating global tensions with North Korea, we seem to be in some sort of greyness and onset of dark ages. He likens the cycle of recurrent ages, or “jugas” in Hinduism, to DH Lawrence’s description of a daily experience in Mexico, moving from the hope of sunrise to the reappearance of ancient pains and angers, then violence and disappointment, and finally the sunset. The sunrise for Brook himself occurred immediately after Oxford, and attachment to a war-time propaganda film unit, when he burst through at the Birmingham Rep and Stratford-upon-Avon, becoming the youngest ever resident director at Covent Garden and West End wunderkind. 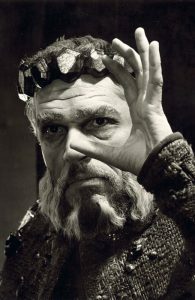 Then came the golden age: a European tour with Laurence Olivier and Vivien Leigh in Titus Andronicus, his work at the newly formed Royal Shakespeare Company with Paul Scofield as King Lear, and Marat/Sade – still, for me, his two greatest productions. 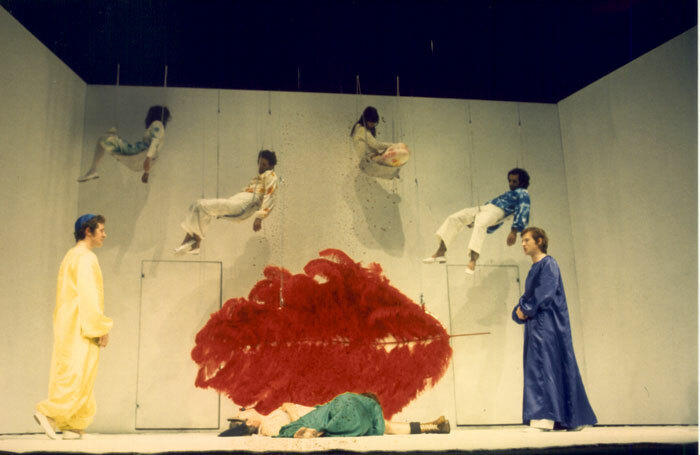 Then came his groundbreaking white-box A Midsummer Night’s Dream (and another headline-making world tour) and his move to Paris in 1970 to form the International Centre for Theatre Research, courtesy of funding by the French government; there followed some extraordinary expeditions with a multinational company to Iran, Africa and India. And then, with his producer Micheline Rozan, he discovered the theatre behind the Gare du Nord that would be his artistic home for the next 40 years. He recounts in his 1988 book The Shifting Point what happened when they discovered some loose boarding covering a hole on the facade of an apartment block: “We pushed it aside, crawled through a dusty tunnel and suddenly straightened to discover – wrecked, charred, streaked with rain, pock-marked, yet noble, human, glowing-red and breathtaking – the Theatre des Bouffes du Nord.” They decided immediately to keep the theatre exactly as it was, and to bring new life back into it as quickly as possible. And there, after the travels emanating from the Bouffes, emerged Brook’s ‘silver period’, meticulous and beautifully modulated and variegated productions in the mid-1970s of Timon of Athens, Measure for Measure, the Ubu plays by Alfred Jarry and The Cherry Orchard, in free but poetically accurate translations by Jean-Claude Carriere. The Mahabharata flared amid this work, “the most majestic fusion of Eastern and Western theatre ever to electrify a performance space,” said Irving Wardle, then drama critic for the Times. Brook has a particular talent to fuse random conversation, disparate topics, into a discussion of both moment and momentum. It is also the discovery of this sort of flow and synthesis that marks his work. On sensing that I may not be as optimistic and joyful about our current theatre as I want to be, he suddenly asks whether I’ve seen anything really good recently. I’m stumped, until I recall Hamilton, describing the show, the queues along 8th Avenue in New York, the talent of Lin-Manuel Miranda, the way the rap moves into musical, the colour and the vivacity of expression and design, the originality of it all based in a solid dedication to his craft over some 15 years. Does it cheer him at least that the artistic community in Britain is overwhelmingly not pro-Brexit? “I think one has to eliminate, alas for ever, the word ‘solution’. There can be temporary bandages,” he says. “The amazing thing in Shakespeare is that there is such limitless meaning and application to, say, Hamlet’s ‘the readiness is all’, or Coriolanus’ ‘there is a world elsewhere’. You can find what doesn’t exist in Shakespeare – he’s a skyscraper with so many levels; from the top floor you have a view of the whole teeming world – as you can in The Mahabharata. I ask Brook about continuity in the theatre, how he can chart his journey through this period to the later years of pared-down opera productions, the Fragments of Beckett, a solo show about theatrical theory and the extraordinary 11 and 12, a whispered performance, virtually, of some restraint and delicacy made of an apparently bizarre dispute as to how many times you should recite a prayer. He should like to look at this question slightly differently, he says. His switch of emphasis is so gracefully done, his thought so pristine, however many times he may have expressed it before, that I’m reminded of David Hare’s remark when reviewing one of Brook’s books, and finding grounds for disagreement over his apparent dismissal of contemporary British and Irish dramatists: “Peter Brook remains the theatre artist of our time with whom it is the greatest honour to quarrel.” Brook, of course, has worked with many living writers, always has done, but they do not always correspond with the list on the syllabus or in the traditional theatre. “The theatre only exists in the present,” he declares, warming to a key theme. “One can dream, talk and theorise about it, but the proof of the pudding, it’s as simple as that. You can be brought the pudding and you can see if you like the look of it. All that vanishes the moment you put it in your mouth. You either spit it out, or you savour. And I’d say this about everything we do: you cannot work in the theatre and ignore the news of the day. The world has always been in motion but people have never been so aware as they are today of the influences playing on them. Other revelations for him include the first musicals in the golden age of Broadway, Marlene Dietrich – not Vera Lynn, you notice – singing Lili Marlene so as to make the words, melody and meaning inseparable from each other (“Even today, opera singers are taught by counting; it all comes back to the flow. And the form is the support for the flow”), and the way director Walter Nugent Monck, who started and ran the Maddermarket Theatre in Norwich, showed him how Shakespeare, or indeed anything, was best on a virtually bare stage, with nothing but the play running through it. Do actors learn from the director, or is it the other way around? And Brook’s face is wreathed in smiles once more. Richard Jordan: Should Starlight Express be overhauled for today or embrace its 1980s roots?